URBAN ESCAPE has a tiered pricing structure which reflects training, practical experience and on-going development of our stylist and technical team. All team members have exceeded at every stage, are highly skilled & without doubt the ‘cream of the crop’ amongst their peers. We are recognised as an industry leader by the AHC (Australian Hairdressing Council) for our level of quality and have achieved a national record of 445/450 for our salon, our team, our skill and our service. 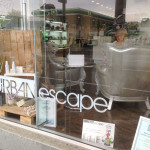 URBAN ESCAPE is the 2014 and 2015 National Winner of the Australian Achiever Awards for Hairdressing Services & Excellence in Customer Service. Please ask for a quote and feel free to choose the level of investment you are most comfortable with but be assured that regardless of whom you choose, you are being cared for by an ‘A+’ grade stylist. Please note: all services are priced ‘from’ and increase according to years of experience. **If you require an extra styling service please mention when booking so the appropriate time can be allocated to insure your desired result. Eg: Curling Wand / Flat Irons / Hot Rollers. Extra long &/or thick hair. 48 Hours cancellation notice is required to avoid a 50% cancellation fee. Booked services can NOT be altered or cancelled on the day. Please ask for a quote prior to commencement of any service. Urban Escape reserves the right to cancel non-confirmed appointments at any time. Student discount not available on Saturday or after 5pm weekdays.